Down Hall now has an outdoor childrens play area! 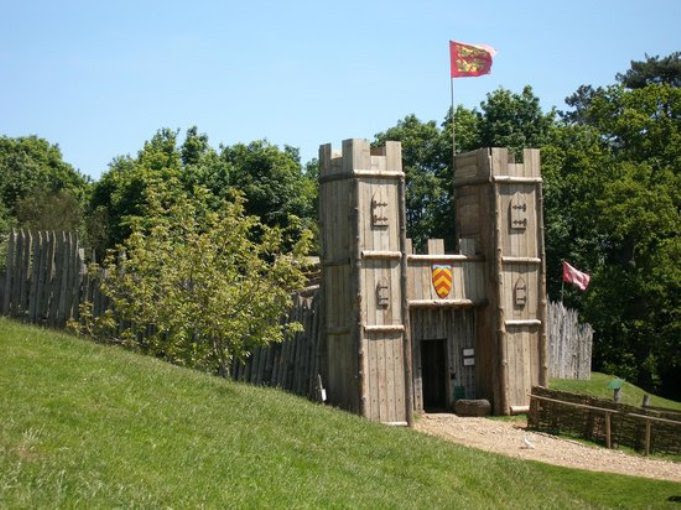 Mountfitchet Castle is a unique open-air museum experience where the visitor can travel back in time over 900 years and truly witness life in a medieval Motte and Bailey castle. Explore the Castle and roam through the Norman village hidden behind the castle walls, wander in and out of the many houses and view the scenes, smell the log fires burning and feel the ambience of a bygone lifestyle. Meet and hand feed the tame Fallow deer and other rescued animals that roam freely throughout the 10 acre site. 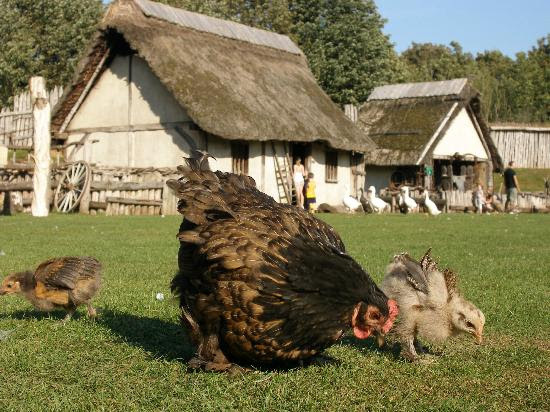 Visit the only medieval Castle and Norman Village reconstructed on its original site to exist in the world. 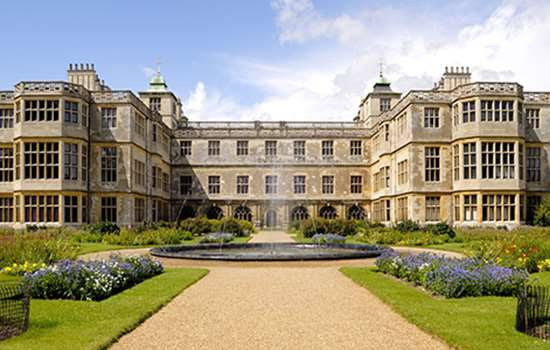 Audley End House itself is a magnificent house, built to entertain royalty and includes a Victorian Service Wing complete with kitchen, laundries and a dairy. With beautiful grounds to explore, including an impressive formal garden and the working Organic Kitchen Garden, there’s so much to see and do at Audley End House. Visit the historic market town of Bishop’s Stortford with it’s charming boutiques, cosy pubs and excellent restaurants at only a 15 minute drive from Down Hall! People the world-over have been enchanted by the Harry Potter films for nearly a decade. The wonderful special effects and amazing creatures have made this iconic series beloved to both young and old – and now, for the first time, the doors are going to be opened for everyone at the studio where it first began. You’ll have the chance to go behind-the-scenes and see many things the camera never showed. Approximately 45 minute drive from Down Hall. Hatfield House, the home of the 7th Marquess of Salisbury, is an exquisite Jacobean jewel set in beautiful formal gardens and Great Park. The Gardens date from 1611 when Robert Cecil employed John Tradescant the Elder to plant them. Within the gardens stands the surviving wing of The Royal Palace of Hatfield where Elizabeth I spent much of her childhood and held her first Council of State in November 1558. It was here in the Park that the young Princess Elizabeth first heard of her accession to the throne. Visitors can enjoy the 1000 acres of park with bluebell walks in the woodland and park trails. The Jacobean Hatfield House has a fine collection of pictures, tapestries, furnishings and historic armour. Approximately 45 minute drive from Down Hall. www.hatfield-house.co.uk or phone 01707 287010 for details of special events. Come and visit Paradise Wildlife Park, the most interactive zoo in Britain. Based at Broxbourne in Hertfordshire, they are open all year round, every weekday and weekend! With over 270 species to see, set in 60 acres of beautiful parkland and lakes, Colchester Zoo is well worth a visit. There are over 40 daily displays, an undercover soft play area, 4 adventure play areas, 2 road trains and much more! Hatfield Forest is the only remaining intact Royal Hunting Forest from the time of the Norman Kings and is now maintained by the National Trust. For more suggestions on activities in and around Essex, please visitwww.visitessex.com.